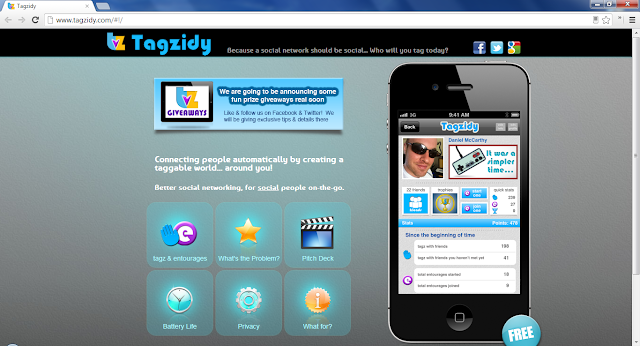 Tagzidy is an iPhone app and service that connects social people on the go, by placing you in an automatically taggable world. Connect with friends and build your social or professional network by automatically collecting tagz with people nearby as you cross paths. If you're already friends: Game-ify being around each other in a tag-style fashion. If you aren't already friends: Here’s a virtual intro and tag exchange, on us!